The Salomon X Ultra 3 Mid GORE-TEX hiking boot is technically a hiking shoe, but it’s so feature-heavy that it’d work on all but the hardest and steepest of ascents. If your hiking trips cross alpine passes and mountain ridges, this is what you want on your feet. These durable hiking shoes have Descent Control technology, which keeps your shoes gripped to the trail. The X Ultra 3 Mid GTX uses smart design features like a cross-foot lacing system and shaped footbeds to keep your feet in place in the shoes, which allows you to step confidently in comfort across any terrain. These heavy-duty hiking shoes are also waterproof, perfect for backpacking in variable conditions. Step confidently downhill without slipping with Salomon’s descent control technology. A mid-level breathability rating helps prevent overheating while also keeping moisture out. "What is the weight of the shoe?" 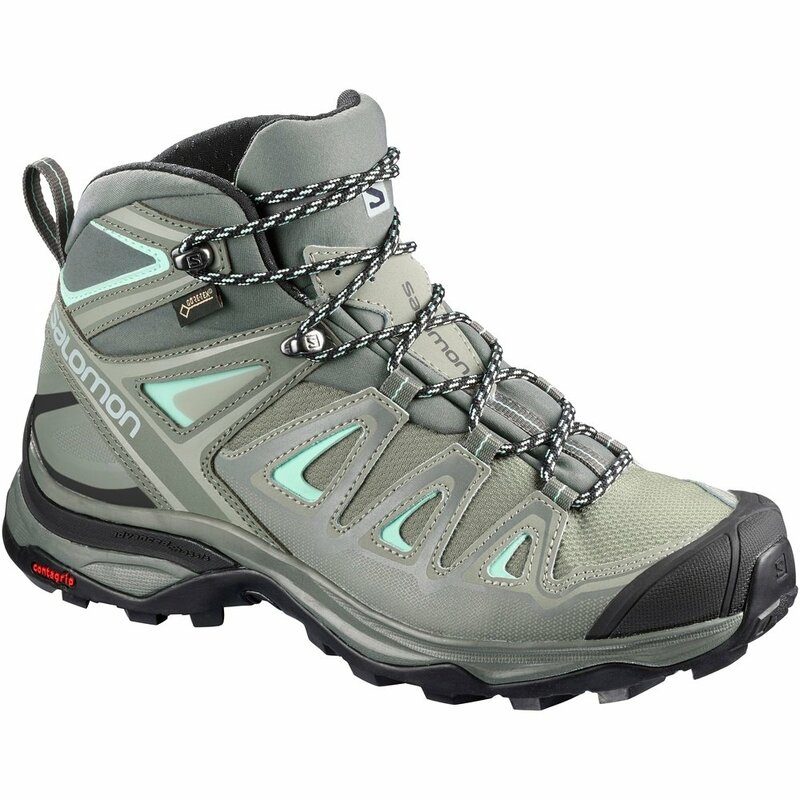 "The Salomon X Ultra 3 Mid GORE-TEX Hiking boot weighs 14.7 ounces. We hope this information helps! " "is this boot insulated, is it warm." "Thank you for your inquiry. The Salomon X Ultra 3 Mid GORE-TEX are hiking boots. They are not insulated however, they are waterproof. We hope this information helps! "